Astrobrights and Differentiated Kindergarten are Teaming Up! Sometimes, you get really lucky . . . lucky enough to work with a really great product and great people. It truly is a blogger-teacher’s dream come true! That’s why I’m so excited to announce that I will be working with Astrobrights Papers this year as part of their Astro Bright Minds team. I can’t tell you how incredibly lucky I feel to be working with some of my best blogger friends and two fantastic teachers. You’ve already met Maria from KinderCraze, and it won’t be long until you meet the third member of this team. 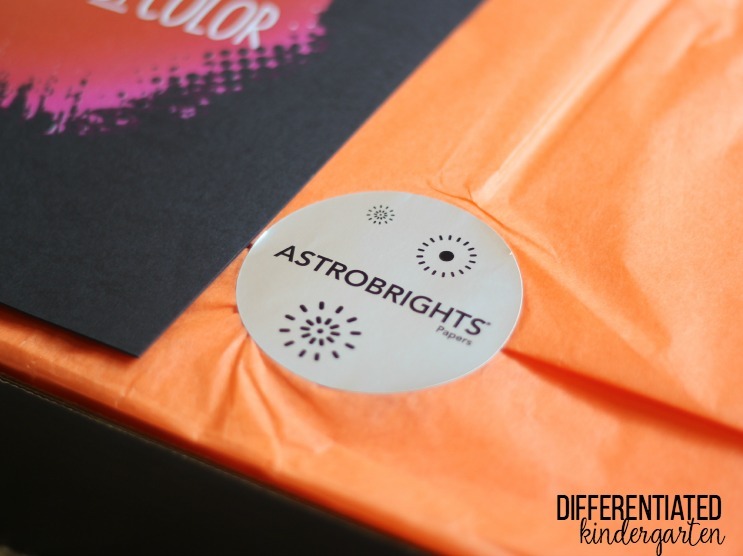 Because Astrobrights is a company that really cares what teachers think about their products and because they really want to know what we need, this is the best kind of collaboration. It means that as part of their team, we will get to try new items, provide feedback, and find new and exciting ways to use their beautiful papers and products. Those new ideas and projects are what we will be sharing with you! It’s really going to be so much fun. Of course, you probably remember Astrobrights’ inaugural Colorize Your Classroom Contest from last summer. Teachers from all over the country were invited to share their ideas and suggestions for using Astrobrights Paper in their classrooms. Well, Astrobrights is bringing this same incredible contest back with some new exciting twists from the Bright Minds team. You aren’t going to want to miss out on a single tip, idea or chance to win, so make sure you’re following me on Twitter, Facebook and Instagram. Additionally, Astrobrights will be posting updates and pictures on Twitter, Facebook, Instagram and Tumblr throughout the event. It’s going to be a huge event! There are so many reasons why integrating color into your classroom and instruction is so important. Granted, a colorful and appealing classroom is always a plus. You want your teaching atmosphere to be a place where kids want to learn. However, if you know anything about my teaching style, you also know I have a passion for differentiating my instruction, and color is an essential component of making that happen. For example, I use color to coordinate and distinguish my different learning tiers. 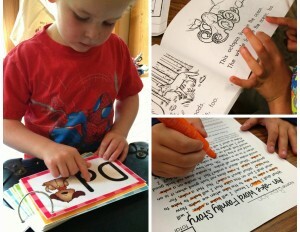 There are different tiered activities for each color of name tag. 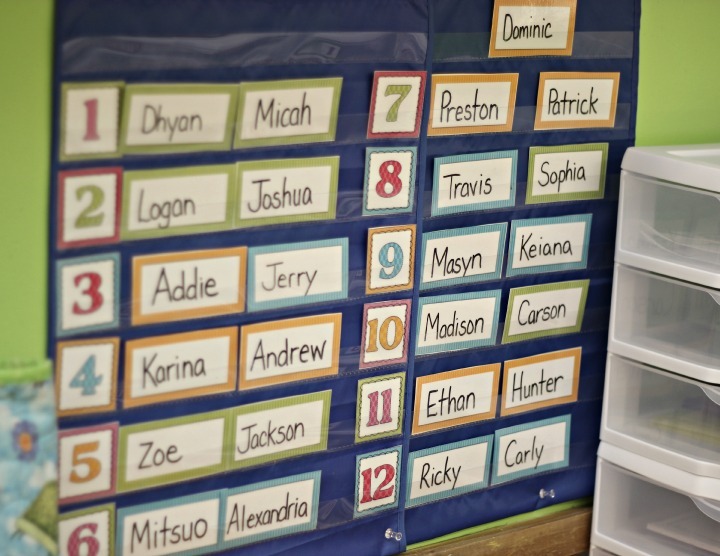 These tags are laminated so that names can quickly be changed and students moved from one tier to another based on their level of readiness and the skill being addressed. Color coding these name tags makes differentiating so flexible and easy. DOWNLOAD a copy for yourself and see how I use these to differentiate my morning work bins. 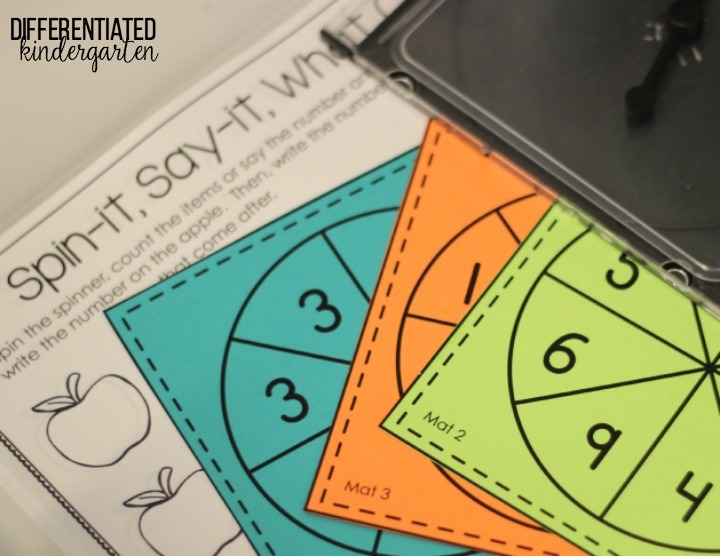 In the same way that you can use color to tier your students, you can use color to help them quickly identify the activities that correspond with their color. It doesn’t always mean you have to spend a ton of money on color printing either. 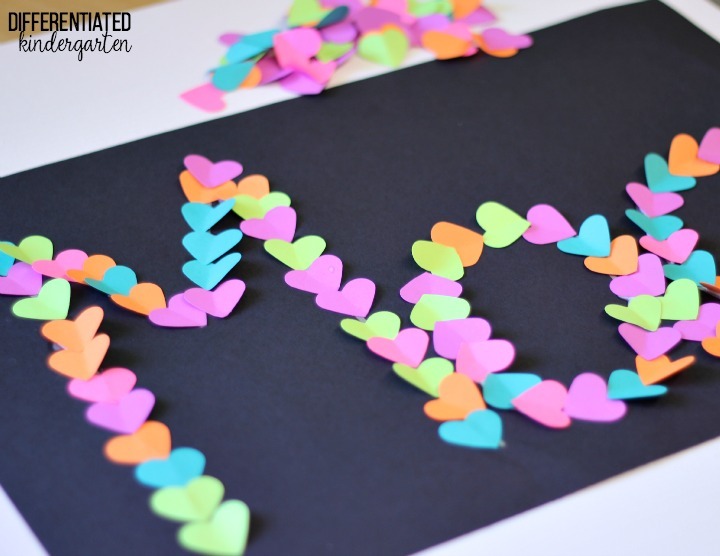 Last summer, during the Colorize Your Classroom campaign, I showed you how to easily tier otherwise black and white printables and activities by using Astrobrights Papers. You can try it yourself. 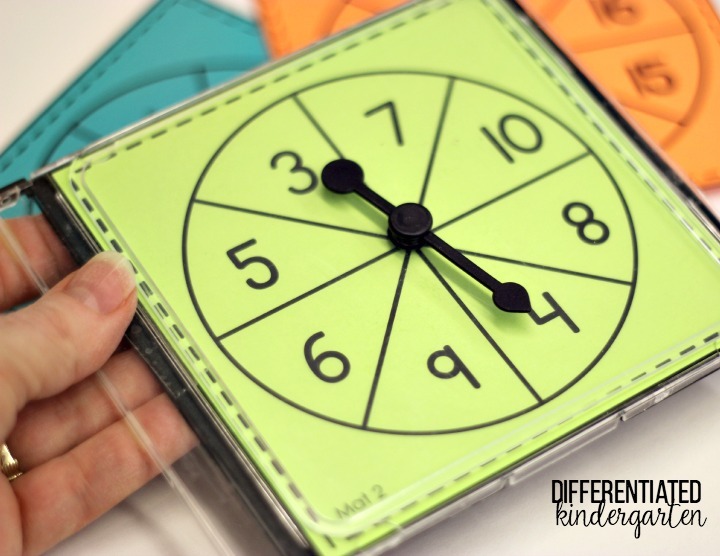 Just DOWNLOAD this free differentiated math activity and get step-by-step instructions on how to use these spinner mats to make tiering easy by using color. Color can also provide the key to differentiating when you want to address interest and learning profiles in your students. 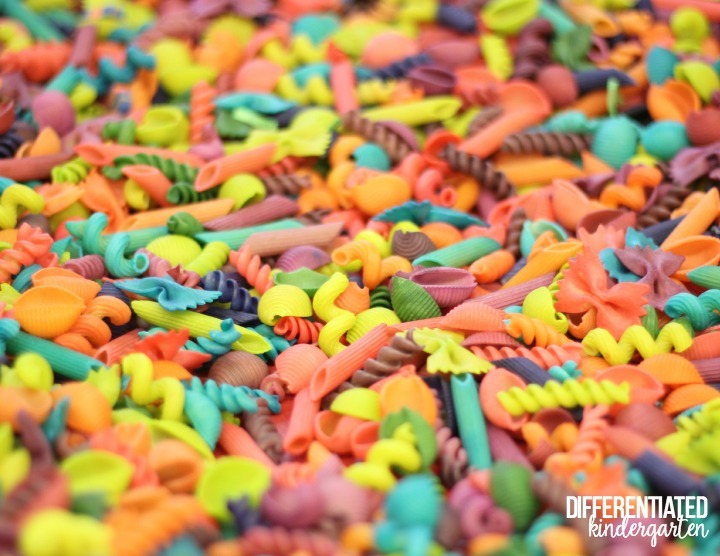 I can guarantee you that it is much more interesting to a kindergarten to work with a rainbow of brightly colored noodles in a sensory table than it is to work with a bunch of that is not. Quite often, color is the hook that catches their initial interest. Likewise, to differentiate by addressing Artistic Learning Profiles, you need color and lots of it. Color can take an otherwise mundane activity and make it bright and engaging. HERE I needed to work on fine motor stills with my new kindergarten students, so I incorporated some practice with a paper puncher. 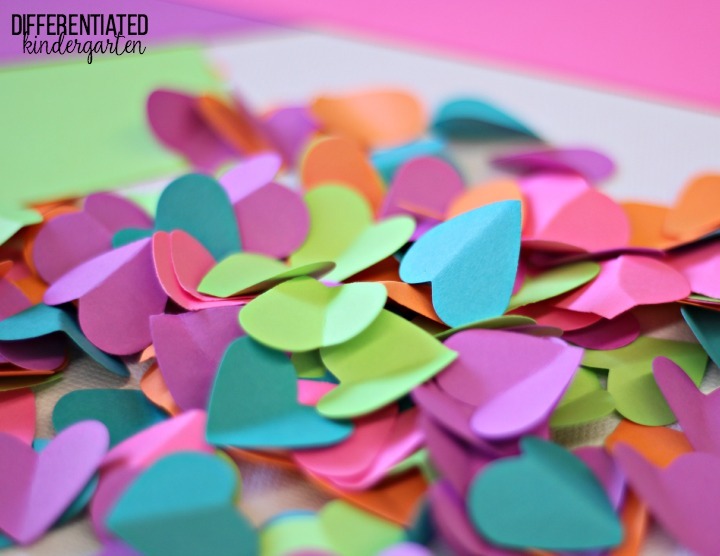 By punching up a bunch of colorful hearts and folding them in half, I was able to extend this fine motor activity to include practice writing, patterning and recognizing the letters in their name.
. . . and it turned out to be a gorgeous Back To School activity for my kindergarteners. 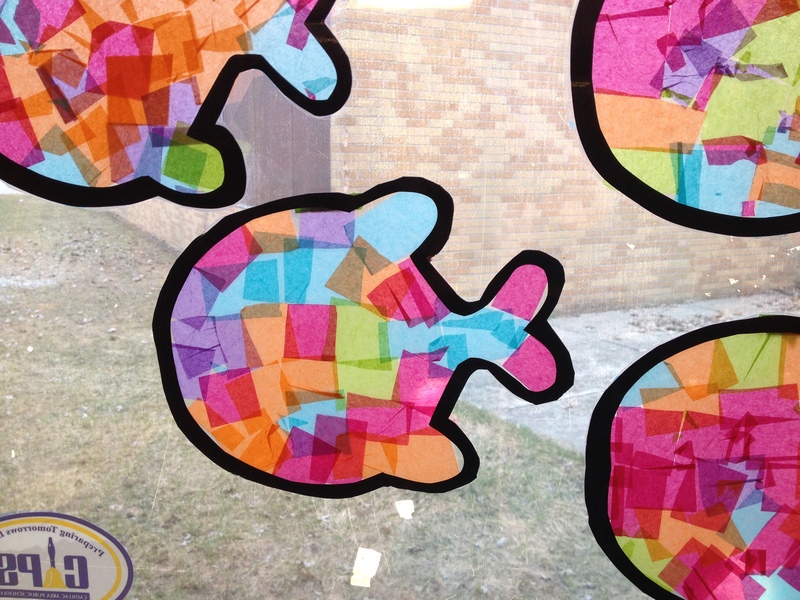 Using color in your classroom just makes sense. 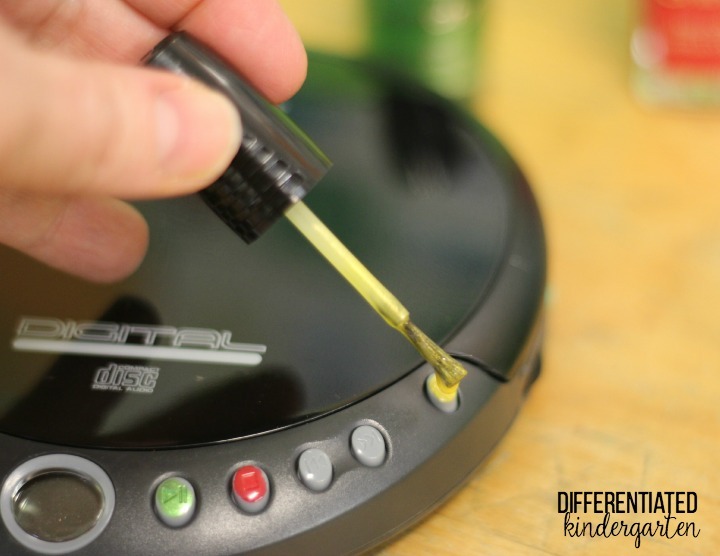 The practical teacher in me loves anything that will make my students work independently. Using color can help you achieve this. HERE you can see how I label cd players with colors to make it easier for my students to know how to use them. Red means stop. Green means go. Yellow means open. It’s easy and accomplished completely with the help of color. I just can’t imagine my classroom without the benefit of color and the fun, engaging atmosphere it provides for our littlest learners. 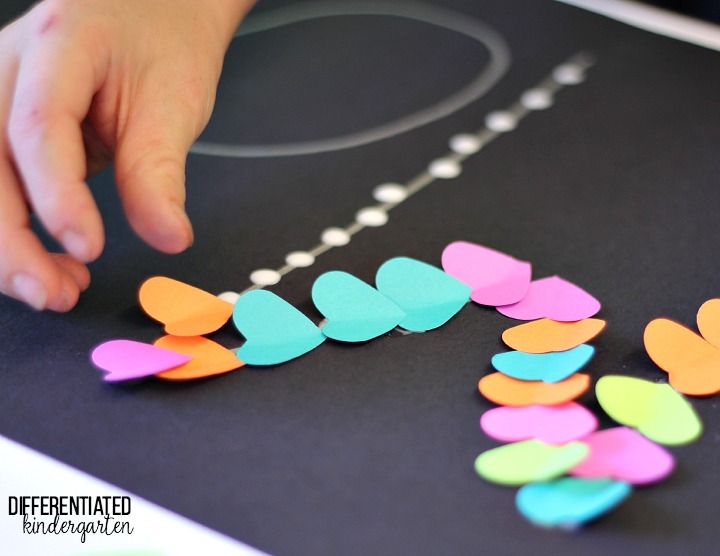 And now you can get a plethora of ideas and activities for using color in your own classroom; ideas especially for teachers from teachers who love color. It’s no surprise that I’m so excited to be part of this Bright Minds team. It’s going to be an exciting year full of fun and color so be sure you check back often for all the news and activities coming your way! I can’t wait to hear how you use color in your own classroom. Disclosure of Material Connection: This is a “sponsored post.” I was compensated me via a cash payment, gift, or something else of value to write it. Regardless, I only recommend products or services I use personally, believe will be good for my readers and truly love. I’m curios about your spinners in CD cases. Have you blogged about this before? Yes Kim. I have several posts about spinners. Here’s one you may find interesting.